We just completed our trip to the Federal Reserve and U.S. Mint on Friday. Even in the chilling temperatures, the enthusiasm was in full swing. One of the highlights of the trip was seeing all the money in both places we visited. Between coins and currency, the students were overwhelmed with how the coins originated, their artists and all the interactive activities that helped them understand how our money is made and all the safety measures that are taken to secure it. They could not believe that under the Federal Reserve Building were two vaults which each are the size of a football field. They gave us samples of shredded currency at the Federal Reserve and we saw coins being processed in the U.S. Mint. Going through security screening was quite interesting because most of the students didn’t realize that any metal sets off the alarm and many alarms went off. It helped them understand how security works with government locations. We will be going over our scavenger hunt that we completed at the Federal Reserve and additional information I received about the mint. Also this week one of our donors will be visiting our classroom to give us more hands on knowledge of coins. This was a great trip and we appreciate all of our donors giving us the opportunity to take this trip this year. I am so excited for these kids and glad they got the opportunity to go to both places. As promised, I will be visiting Juniata Park Academy. Aside from bringing pieces of my collection for them to see, I am also bringing gifts. After all, it is the holiday season! Since I will not be coming home right away, my cousin and I will be at the football game at Lincoln Financial Field (Go Big Blue! ), I will report on my visit over the weekend. UPDATE: Pictures were added to the original note at DonorsChoose.org. Go there to see them! With many thanks to my readers and the numismatic community, the DonorsChoose.org campaign to fund the trip for Mrs. Janas of Juniata Park Academy class to visit the Philadelphia Mint and Federal Reserve has been funded! It will be a great experience for the class to be able to visit both the Mint and Fed. I had previously contacted Mrs. Janas and offered to travel to Philadelphia to give her students a presentation about numismatics in daily life. Now that the project is funded, I will make the arrangement to visit her class to provide a more hands on the convergence between numismatics, math, and economics. I will bring some “gifts” for the class so that they can have in-hand examples. There aren’t the words to express how thrilled I am that this project was funded. Last month I came across a listing on the fundraising site DonorsChoose.org to raise money for a class in Juaniata Park Academy in Philadelphia so the “students would love to expand their knowledge and be able to identify with the real world today and visit places around the area.” This would allow the class to visit the Philadelphia Mint and the Philadelphia Federal Reserve Bank to learn more about our money. The project can be funded for a paltry sum of $512.92. With the donations matched by the Dottie Lutz Foundation, we can send underprivileged students to visit the Mint and the Fed for $256.46! As I said in my original post, maybe a few would become interested in numismatics. Seeing the exhibits and learning how money is made can inspire these children to become collectors. And as inner-city students in a minority community, adding this diversity to the hobby is one of the best gifts we can give the hobby. There is ONE MONTH to go on this project. Previously, I asked to see if nine readers of the Coin Collectors Blog would step in with a $25.00 donation. Thankfully, it appears that only one person did step up. This effort now needs $413.00 to be funded meaning it will take is $206.50 in donations for this to be funded! I am asking for everyone to give any amount to fund this project. It would be wonderful if the numismatic community stepped up to help fund the visits to the Mint and Fed for these students. Let’s see if we can influence some students to become numismatists. 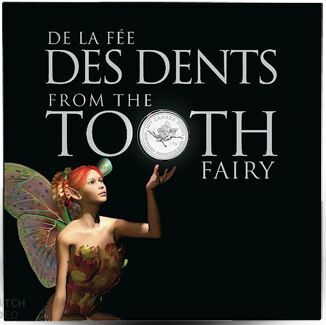 Are you a tooth fairy looking for something different to give leave that little loved under the pillow? Then the Royal Canadian Mint has an answer for you, especially if the toothless child is into coin collecting. 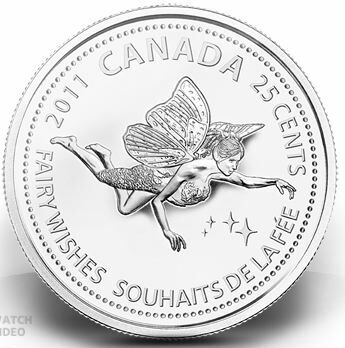 Rather than leaving money, the RCM has produced a Tooth Fairy Gift Card with a special 25-cents Tooth Fairy coin. Tooth Fairy legends started in Europe where it became a tradition to bury baby teeth as they fell out. Later, it became tradition to place the tooth under the pillow where the Tooth Fairy would collect the teeth, leave the children money, and give the teeth to the parents as a keepsake of their child’s growth. Whatever the tradition, the bottom line is the giving of money for the tooth. Why not make it memorable? The card from the RCM also includes an envelop so that you can include more money than a quarter. 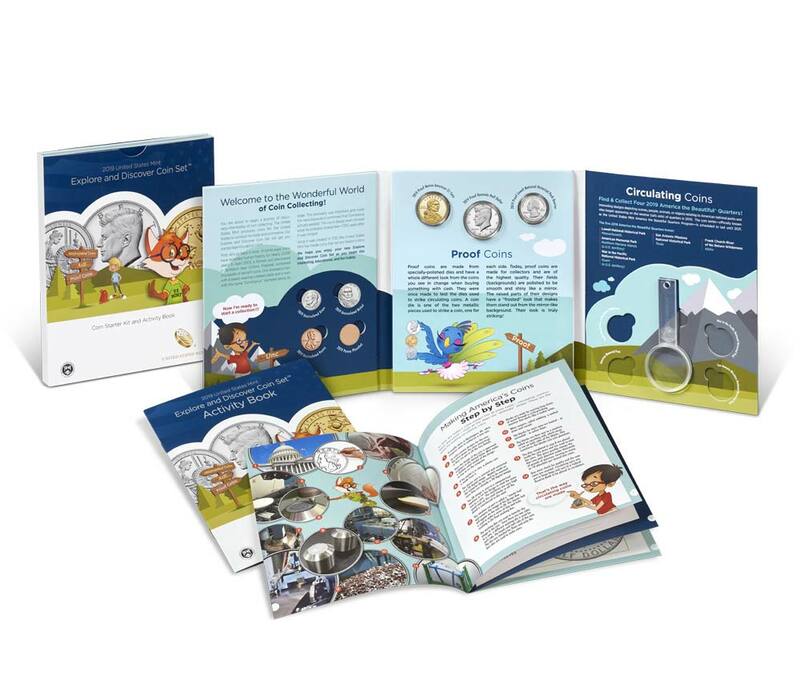 For children in the United States, you can include other world coins if the child is a beginning collector or you can just leave some modern, legal tender alternatives. On either side of the border, an idea is to include the current Presidential $1 Coin or a few National Parks quarters. In Canada, the RCM has a animal and flower coins that would satisfy any child along with having the tooth fairy card. Some traditions mark the sixth tooth as being special because it represents the strength in the child’s growth. For those, why not look at a large silver coin. the American Silver Eagle is a nice choice for U.S. children. In Canada, the 2011 Maple Leaf Forever silver coin with the three maple leaves is a symbol of Canada like no others. I remember after the first few teeth how monotonous losing teeth became. This card could help a child along having those feelings. This card is such a good idea, I wish I was playing tooth fairy for someone who could enjoy a card like this. The most popular way to collect coins is by date and mintmark, but that does not have to be the only way to build a collection. Some collections are built based on a single year, coin types, coins and tokens from a hometown, medals, transportation tokens, or the subject of the coins such as animals. Children who are interested in collecting should start small and with manageable collections that can be collected from pocket change. By starting small with achievable goals, children can maintain their interest as they complete their collections. Before you start a collection, sit with your child and set a goal by defining what will be collected and how it will be done. Although it is popular to collect coins from pocket change, buying coins from coin dealers, shows, or online auctions are certainly wonderful collecting ideas. Let’s look at a few collecting ideas. A Magnifying Glass: Magnifying glasses come in various sizes and shapes. For children, it is best to have a handheld magnifying glass that is at least 4x or 6x power. Using a magnifying glass to examine coins allows the child to get used to closely examining coins. 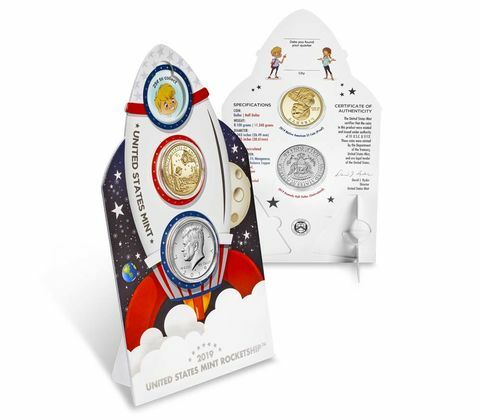 Coin Holders: Your child will need something to hold the coins collection. For these collections you have the choice of using 2×2 cardboard holders are Mylar flips. Cardboard holders are hinged cardboard that fold in half and measure 2-inches square. In the middle of each half are holes big enough to hold the coin. The holes are covered with a Mylar window to hold the coin. Cardboard holders come with different size holes for each type of coin. You can purchase holders that can be stapled or are self-sealing (I like self-sealing holders). The advantage of cardboard holders is that you can write information on holder. Mylar flips are hinged clear holders with pockets on both sides to hold the coins. Only buy flips that are made of Mylar. Plastic flips contain PVC (polyvinyl chloride) that will damage your coins over time. When folding new flips, make sure that the pocket openings are on the inside. The advantage of the flips are that they are less expensive than cardboard holders and coins can be easily changed and that the other pocket can be used to insert a paper label. Coin Pages: Once the coins are in a holder, you will want to arrange them to view. Coin pages are notebook-sized pages that have pockets that fit either of the holders mentioned above. You can also buy a loose-leaf binder to put the pages together. Dividers can separate multiple collections. U.S. Coin Digest is a similar reference from another publisher. For ten years, this book has been good at bringing the latest information about U.S. coins. Newer editions include a CD-ROM with the contents of the book in PDF format. The PDF edition is easily searchable and portable for taking on trips using your smart phone or tablet computer. Optional supplies include coin tubes to that fit each coin type, cotton gloves if you are going to handle uncirculated coins, and you can look into fancier albums with blank pages when the collection gets more advanced. All of these supplies can be purchase at the your local coin store or online. Year Sets are a type of collection that contains coins from one year. These collections can contain one coin per type or collect coins with different mintmarks. A good way to start is to collect coins from the child’s birth year. Children born 1999 and later have the added advantage of looking for State Quarters. Year sets do not have to be the child’s birth year. If the parents were born in 1965 or later, they could put together year sets of those years. We will discuss collecting coins from before 1965 later. When collecting Year Sets, children may want to write an essay as to why that year was special. Those pages can then be inserted along with the coin pages to make the collection personal. The State Quarter and National Park Quarter series has introduced many people to world of coin collecting. But you do not have to collect the entire series. You can collect quarters from areas the family has visited. While on the road, challenge the children to find quarters from the state you are currently visiting. If you visit a National Park whose quarter has been issued, try to find one of those quarters while in the area of that park. The collection could always be updated when you return home. Some travel spots sell tokens, medals, and even elongated pennies. Many are inexpensive and helps show that collecting does not have to be limited to coins. If your travels find your family outside of the United States, collect coins from the country you are visiting. A site like Don’s World Coin Gallery could help you find more information about the coins in the country you are visiting. If you are visiting Europe, remember that the Euro is a common currency where each country designs the reverse of coins they issue. Travel diaries or essays written when you arrive home could be inserted into the binder along with photos and other souvenirs to make it a scrapbook with coins. In 2004 and 2005, the U.S. Mint issued special nickels to celebrate of the bicentennial of the Louisiana Purchase and the Lewis and Clark expedition. In 2006, the nickel was redesigned with a new portrait of President Thomas Jefferson. To collect this series, find the nickels dating back to 2003, the original design, along with the four designs issued in 2004 and 2005. Finish the collection with a 2006 nickel showing the new design. Whitman Publishing produced a special folder for the Westward Journey Nickel Series that includes various types of Jefferson Nickels through since its first issue in 1938. The folder includes holes for other American nickels that can be filled in after visiting coin shows. Abraham Lincoln was the first presidential portrait to appear on a U.S. coin. The design by sculptor Victor D. Brenner has lasted over 100 years. On the 100-year anniversary of the coin and the bicentennial of Lincoln’s birth in 2009, the U.S. Mint issued four coin reverse designs representing Lincoln’s life. In 2010, the U.S. Mint issued a new permanent reverse design replacing the image of the Lincoln Memorial that had been used since 1959. Collecting the Lincoln series can be expanded beyond just the 2009 and 2010 coins. The collection can include coins with the different reverses used. From 1909 through 1958, the reverse included two stalks of wheat surrounding the words “One Cent.” These are called “wheat ears cents” and can be found in pocket change with a little persistence. For a bigger challenge, you can purchase the folder Whitman Publishing created to honor the Lincoln Cents. This colorful folder contains holes for older types of cents including the coins with the prominent “V.D.B.” initials on the reverse. It is a little more of an advanced collection better suited to teenagers. Create a Mount Rushmore series by collecting the presidents whose busts are carved into Mount Rushmore. This collection will not be complete until 2013. Add to you travel collection by adding the dollar coin of the president whose home or library visited. This may require future planning since the practice of preserving presidential homes is a 20th century phenomena. Starting in 1965, the U.S. Mint stop making coins from silver. Over the next few years, people started saving the coins they were finding in change dated 1964 and earlier. Even though the nickel has been made from the same metals since the 19th century, they have been saved, too. While you can find coins from before 1965 in pocket change, it is a rare to see these coins in circulation. Buy a “hoard” of coins from an online resource that sells coins by the pound. Most of these hoards are from people who grew up around the time of the Great Depression and started to save their change to have money should the economy crash again. As they pass on, their families sell the hoards to dealers who sell them by the pound. They can be fun to search, especially if you have folders nearby to fill the holes. Go to a coin show and visit the dealers who have “junk boxes.” Junk boxes are filled with lower grade and common coins that sell inexpensively. Dealers fill the boxes with items they bought as part of larger lots and allow collectors to hunt for what they want. The thrill is searching for the coins you are looking for in these boxes and finding them or finding something unusual. Dealers usually give children special treatment including a bigger discount on the price. Where’s George (www.wheresgeorge.com) is not a collection but a site where you can track where your currency has been. You might have seen a one-dollar bill with a stamp that may say “Track me at www.wheresgeorge.com!” If you go to the website and enter the serial number from the front of the bill, you can find out where it has been. By entering the serial number, you can register where it is in your hands. A fun activity would be to register on the Where’s George website and track where the bills you spend go. Before you can track your bills, you should buy a rubber stamp to let others know that the bill is registered at www.wheresgeorge.com. Stamp the bill and enter the serial number into the website. Go out and spend the bill and watch where it goes. If you travel and are carrying a computer or smart device that can surf the Internet, take bills you receive from different areas, register it on the site, stamp it, and then take it to your next destination and spend it there. If you happen upon a registered bill, enter your find on the website and take it somewhere else before spending it. To find a rubber stamp with the information, just do a search for “Where’s George Rubber Stamps” to find a dealer with ready made stamps. It is with great sadness to report that Cameron Kiefer, 28, died on Tuesday, December 21, 2010 from an apparent suicide. Cameron was an accomplished numismatist who had won the 2001 CSNA Literary Award and the ANA Outstanding Young Numismatist of the Year in 2002. Subsequently he became a grader at the Independent Coin Grading Company when it was located in Colorado Springs. Cameron resigned from ICG in March 2008 to become a full-time coin dealer. I briefly became acquainted with Cameron after I posted the story about his departure from ICG. After a few email exchanges where he seemed excitedly nervous, I wished him luck and said that I hope we can do business in the future. Running a business did not come easy for Cameron which may have lead to his unfortunate decision. Cameron Kiefer was married and left behind two children, reported to be three and one years old. My sincere condolences go out to his family and wish for better times ahead. UPDATE: Obituary and funeral information may be found at the Horan & McConaty Funeral Home. A while ago, I heard from Donna Guthrie, teacher and children’s book author, who created a new website called Meet Me At the Corner. Meet Me At the Corner hosts kid-friendly videos about many topics of interest to kids. Kids are encouraged to produce a video about a topic of interest and submit them for the world to see. For those who need assistance, there is a video to explain how to make videos. Donna wrote to me around Presidents Day to alert me about the new video about one kid’s visit to the Edward C. Rochette Money Museum located at the American Numismatic Association headquarters in Colorado Springs. The video by Amanda tours the museum with and interviews ANA educator Rod Gillis. Amanda asks about coins, collecting, and the new Lincoln Cent issues. Amongst the tour during the video, Amanda is shown the two examples of the 1913 Liberty Head Nickel the ANA holds. Rod tells Amanda that one of the five known coins was sold last year for $4 million. Amanda does a great interview and probably does better than most adults! Go to the site and watch the video. It is worth the time. When you are done, pass it along to a young numismatist for their enjoyment.